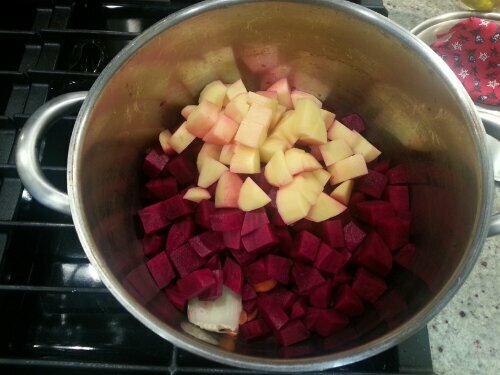 In a large soup pot, put all the vegetables: red beets, potatoes, carrot, celery, onion. 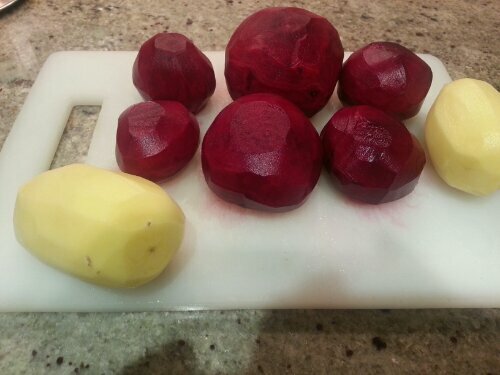 Add enough water to cover the vegetables. Close with the lid and when it begins to boil add the salt and the vinegar. Lower the heat to medium/low and let cook for 1 hour. 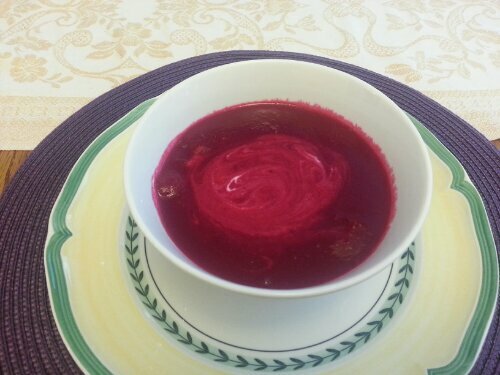 When the soup is ready, put aside a few scoops of soup and blend the rest with an immersion blender. 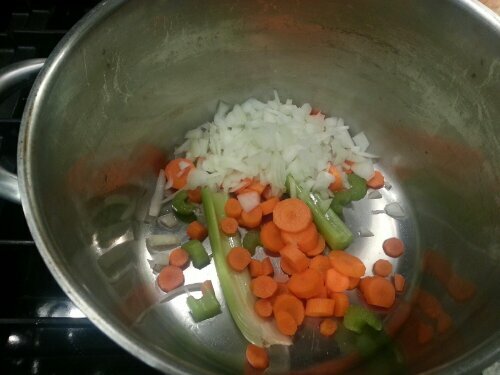 Add back to the pot the unblended soup. Serve with a spoon of plain yogurt per bowl.